Facebook Inc. came out with a new policy prohibiting ads that promote financial products and services that are frequently associated with misleading or deceptive promotional practices. These include ads promoting binary options, initial coin offerings and cryptocurrency. “We want people to continue to discover and learn about new products and services through Facebook ads without fear of scams or deception. 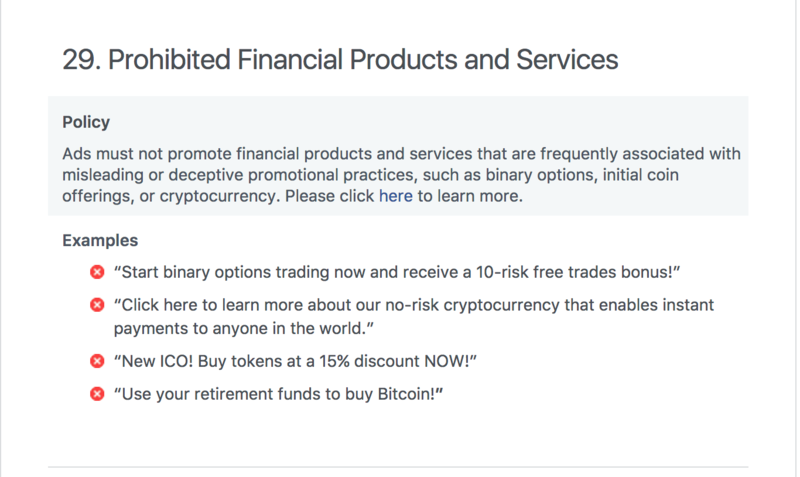 That said, there are many companies who are advertising binary options, ICOs and cryptocurrencies that are not currently operating in good faith,” he said. While the policy seemed intentionally broad, Facebook said it will work harder to detect deceptive and misleading advertising practices. It will ramp up enforcement across its platforms—Facebook, Audience Network and Instagram, and will revisit the policy as needed. Facebook is also urging its users to report content in violation of its advertising policies, noting that it cannot catch every ad posted on its sites.